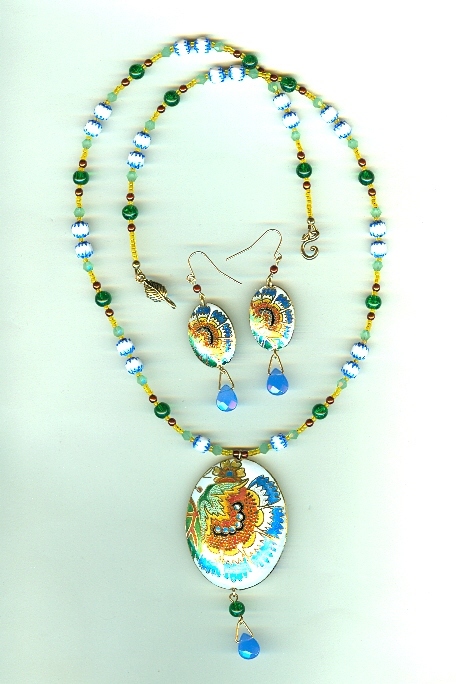 Nothing makes a Statement quite as much as the glowing colours of the enameled designs on cloisonne pendants. For the lady who likes to be noticed, they?re just the ticket. The stylised chrysanthemum blossoms that appear on both sides of these oval pendants have a vaguely Asian appearance. They?re done in spectacular shades of sapphire, gold, terracotta, jade and mint green, and black, against a background of pure white. The opalised sapphire blue teardrops are a feminine addition to the pendants. The strand is roughly 24 inches long and closes with a gold plate leaf motif hook set. 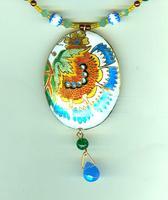 The pendant ends about three inches below the strand. 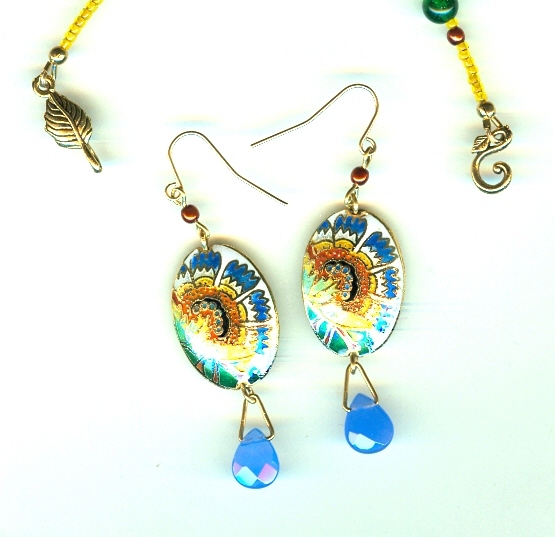 The earrings dangle about 2-3/8 inches from the tops of their 14 kt gold fill French hook findings. For jewellery that?s an eyeful, you simply cannot beat SPARKLE PLENTY. Now here's a pair of pretty girls. They've been individually made over an open flame, so each is unique.